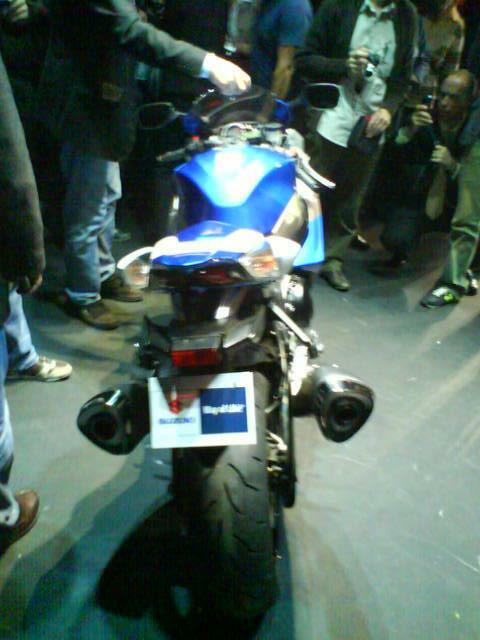 Can't wait for the official 2009 Suzuki GSX-R1000 pictures? 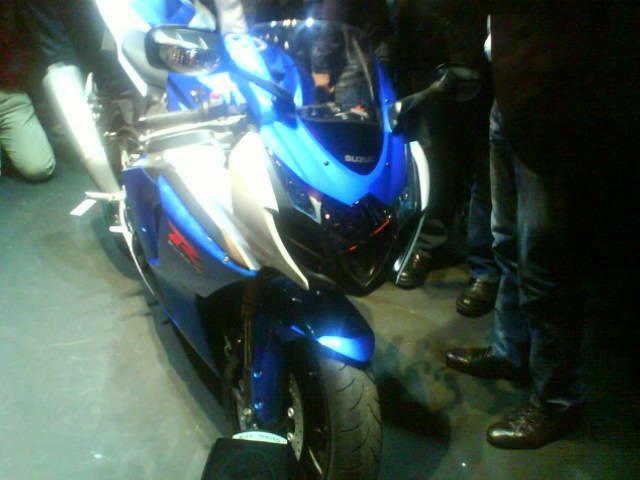 MCN is at the launch in Paris and our news reporter has snapped a few camera phone shots of the bike up close. 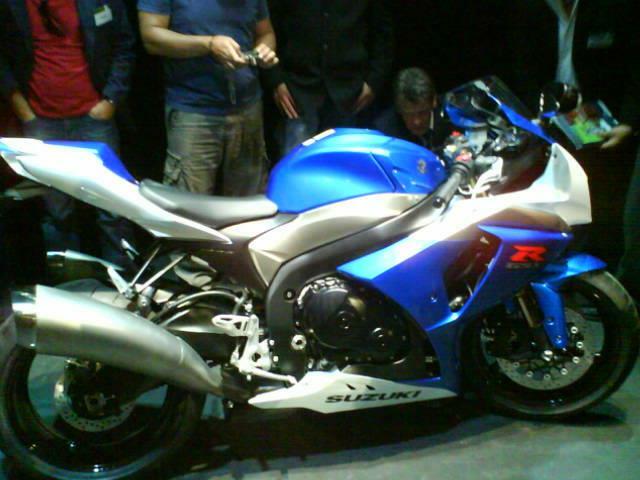 Information at present is limited, but apparently this is the bike the race teams around the world wanted Suzuki to build. 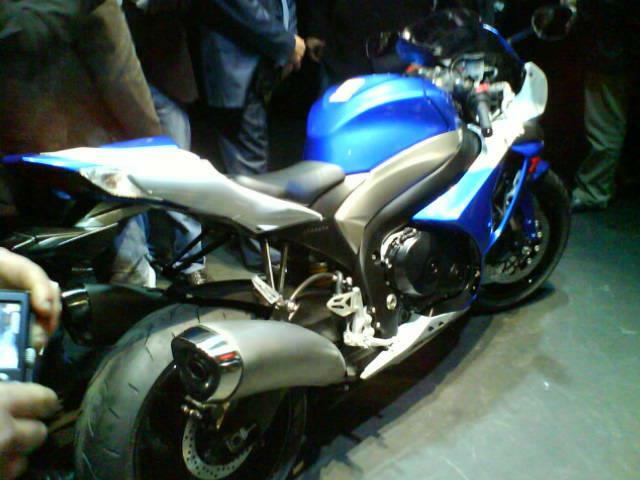 It's an all-new bike, featuring a new engine and shorter wheelbase. As you can see from the images, the controversial twin cans have been given a restyle and now look more organic than the angular items on the previous model. 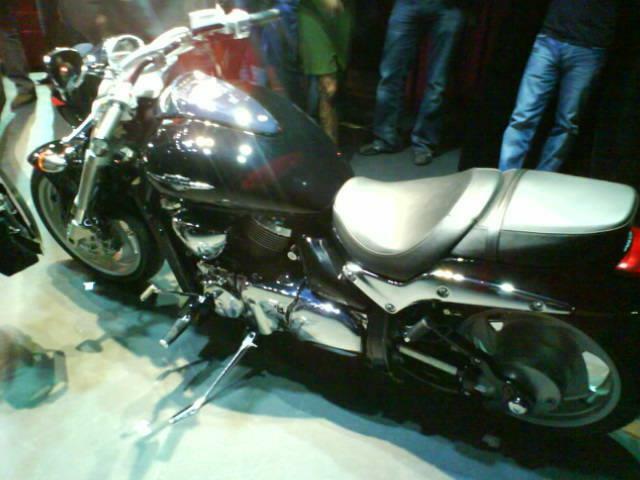 We also have a tantalising shot of the new Suzuki Intruder M1500. We'll update you with more information on Suzuki's new flagship supersports machine and their beasty Intruder cruiser as it becomes available.